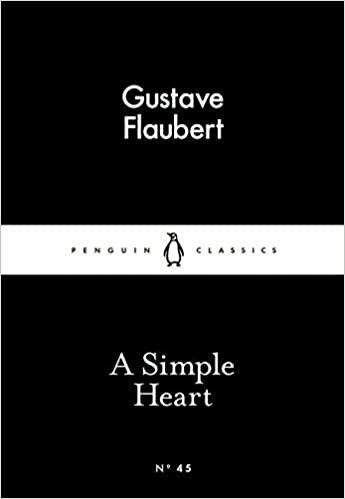 With pathos and humour, Flaubert imagines the unexamined life of a servant girl. Like our wonderful protagonist, this is a simple story that holds so much more than you initially realise. The prose is quite stark, yet has something gorgeous about it; it’s reserved in much the same way as (our ironically named) Félicité, who keeps all of her heartbreak and woe to herself, living life very much in solitary as the servant of a household. She doesn’t let her sadness take away from her duties, and used religion and small tokens to remind her of everything that was important to her. Flaubert explores Félicité’s bleak existence, one which would have garnered absolutely no interest otherwise, and one which could quite easily be considered dull. Yet Félicité’s life on display by him is so interesting, her history painful yet glorious, and Flaubert plants an important idea in our heads - everyone is important, and no matter how small a story, they all have meaning. This was absolutely wonderful, and I feel Flaubert’s skill transcends translation. Madame Bovary was a work of art for me, but this is a smaller, more profound piece. I feel utterly humbled to have read this woman’s story. A simple heart is a momentous heart.